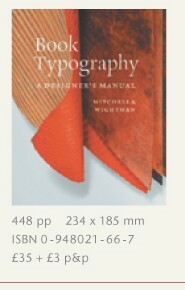 Book Typography: A Designer's Manual, Michael Mitchell, Susan Wightman, Libanus Press, ISBN 0948021667 Libanus Press, typography, book design, typesetting, print management, letterpress printing, limited edition books For 30 years Libanus Press has been known for the quality of its typographic design and printing. It is an establishment quite unlike any other, with the state-of-the-art design studio working alongside a letterpress workshop and type foundry. This combination of tradition craftsmanship and digital technology makes Libanus Press uniquely equipped to deal with the most challenging projects.